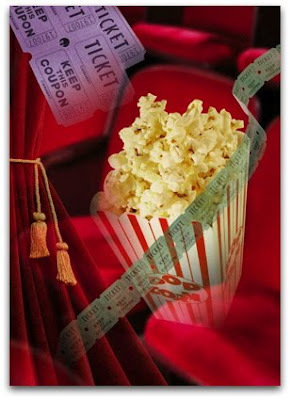 In the past I usually get super excited to write about movies I've recently seen. However, over the last few months things have been kind of hectic and I sadly have not been inspired to write about anything let alone the movies I've seen - my writing bug went missing. But thankfully I found it. YAY! So with that being said, here are my thoughts on the last few movies I've seen in theaters. When I read this book by Dennis Lehane last fall, I could not put it down. I simply loved it! Martin Scorsese did an outstanding job directing this film. He followed the book very well without suffocating it to death. And his vision of certain scenes in the book translated on film perfectly with my vision. That doesn't happen very often. The movie was dark and gray throughout without giving us this dull, washedout look. My favorite actor, Leonardo DiCaprio did an amazing job portraying the main character, Federal Marshal Teddy Daniels. The movie was thrilling, intense and it pretty much had you guessing how it would end throughout. However, being that I already read the book there were unfortunately no surprises for me, so with that being said, I felt the book was more fun for me than the movie. I had some friends complain it was a bit long, but I felt it was just perfect. I loved this movie! It's definitely a "Must See." I wasn't planning on seeing this movie, but a friend of mine and I were already downtown and we had some time to kill. This movie definitely had some appeal. It stars one of my favorite actresses, Danielle Panabaker. I love her and will pretty much see anything she's in. She's a really talented actress. I just wish she was in more movies. Timothy Olyphant played the main character as Sheriff David Dutton and I thought he did a pretty good job in the lead role. He was nice to look at anyway. This movie was dark and pretty gory and it's safe to say it met most of my low expectations. However, I did not think it was scary. The trailer was definitely deceiving in that regard. I was disappointed by that. Anyway, it wasn't necessarily a horrible movie or a complete waste of time, the plot was pretty decent and I was entertained the whole time. It does however, leave you with a lot of unanswered questions and there were a few loop-holes here and there. All in all, it was just an average movie, a renter at best. I had every intention of seeing this movie opening night. I'm a huge Tim Burton and Johnny Depp fan. However, life got in the way which I'm thankful for, because I think I may have been a little let down had I seen it opening night with all my high expectations. Most of my friends saw it before me and were disappointed with it, so after hearing their comments, my expectations shrank lower and lower. When this happens I usually end up loving the movie. Well I didn't end up loving it, but I did find it quite enjoyable. Mia Wasikowska is such a doll. I love her! She did a great job portraying Alice. I loved her character! All the characters were so lovable, especially Tweedledee & Tweedledum. Helena Bonham Carter is so great in these villainous roles. She did a wonderful job portraying the evil Red Queen. The plot however, was pretty lack luster and weak and I wasn't a fan of Johnny Depp's lisp. His make-up was amazing though. The scenery was incredibly beautiful and visually striking. In the end I really loved the underlining message the most - you are in charge of your own life and what path you choose is always up to you. All in all I really liked this movie. It's definitely worth seeing in theaters. 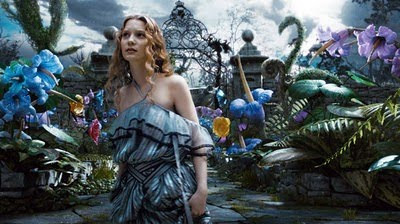 I thought Alice in Wonderland was pretty good as well. I noticed a lot of the same idea's via the 3-D that Avatar used but to a less grand scale in this movie. I did like how it was a twist from the orginal cartoon version and that it was dark like most Burton movies are. 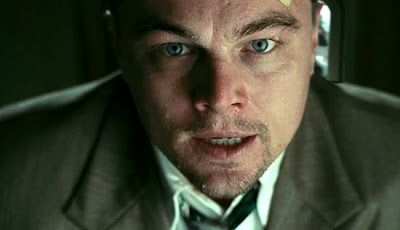 I just finished Shutter Island, I managed to make it through the rat scene. I'm not normally a suspense movie fan, but I actually think that having read the book beforehand made it a lot easier for me to get through the whole movie with out freaking myself out. I also liked that the film followed the book closely and that what I had imagined while reading it was similar to what I saw in the movie. First Full Trailer for Nimrod Antal's Predators! Final Full-Length Trailer for Robin Hood!